When one of the best streaming devices (Roku) meets one of the best streaming services (Kodi) nothing can beat this deadly combination. You can stream any content for free with Kodi and nothing can match the ace of Roku streaming devices. By combining these two super versatile giants you can search anything you desire absolutely free of cost. All you need to do is, just install some best Kodi add-ons on your Roku device and watch all your favorite movies and tv shows for free of charge. Yes! You read that right. Doesn’t worry we will help you with this article how to install Kodi on Roku in a personal computer or on an Android device to enjoy unlimited surfing and gaming! Kodi is basically a software which can be installed anywhere in your personal computers be it Mac or Windows and mobile phones be it iPhone or Android device. It is software that will allow you to watch your favorite TV series, Movies, Live TVs and Sports Tournaments absolutely free of costs. You can also download and store your favorites and can watch them whenever you wish to. A Kodi add-on will be required on our Kodi streaming device to stream unlimited videos. You can find the authentic Kodi addon list from the Kodi’s official repository. You may find that most of the authentic and official add ons required paid subscription or are geographically restricted. 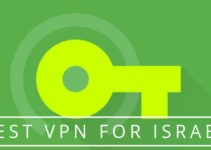 Now to bypass a geographical restriction all you be requiring is a Kodi VPN access. Kodi third party adds ons will get streaming from various free movie sites and from torrents. Installing these can allow you to search any content online like TV series, Movies, Live TVs and Sports Tournaments, etc. Kodi can be called as home theatre software that can do wonders if you can use it to its fullest form. You get an access to unlimited movies, TV shows, and music videos, etc. sitting at your home and on your favorite couch. You can even stream 3D movies and HD content. Covenant Kodi is the best Kodi add on from where you can watch your favorite TV shows and movies free of costs. Roku is just like a normal set up box similar to Apple TV that will stream streaming applications like Amazon Videos, Hulu and Netflix, etc. 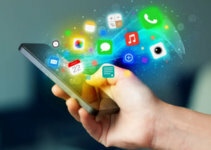 All you need to have is an internet connection to stream content from various streaming apps. It is considered as the best alternative to cord cutting by the experts. However, you would also need to subscribe to streaming apps and services. Roku is a perfect example of all in one home entertainment package. 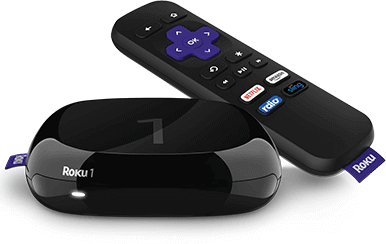 Roku brings a wide collection of streaming applications and services under single roof. All you need to do is subscribe to apps like HBO, Netflix, and Hulu to access this content. You can also play many free and paid games available on subscribed apps along with watching Movies and TV shows, etc. Games like Angry Bird, Sudoku, etc. can be played on Roku. There is no doubt that Roku is a versatile device. But it doesn’t support or install Kodi app on its device. Kodi’s third party adds ons are unofficial and illegal to install is the main reason behind this. Thus Roku has banned Kodi’s installation in its device. No need to worry peeps! There is one more method to install Kodi on Roku and that is via using Screen Mirroring. With the help of screen mirroring you can easily install Kodi on Roku. Android and Windows support Screen Mirroring to let you access any content for free. It is very simple to install Kodi on Roku by using Windows PC. It will hardly take a few seconds for the entire set up. A purple screen will start appearing on your Roku 3 which signifies that Kodi has been successfully installed on Roku, once you have completed all the above-mentioned steps successfully. Now you can mirror any content directly from Kodi to Roku device. 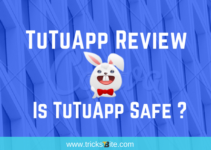 TuTuApp Review – Is TuTuApp Safe ?